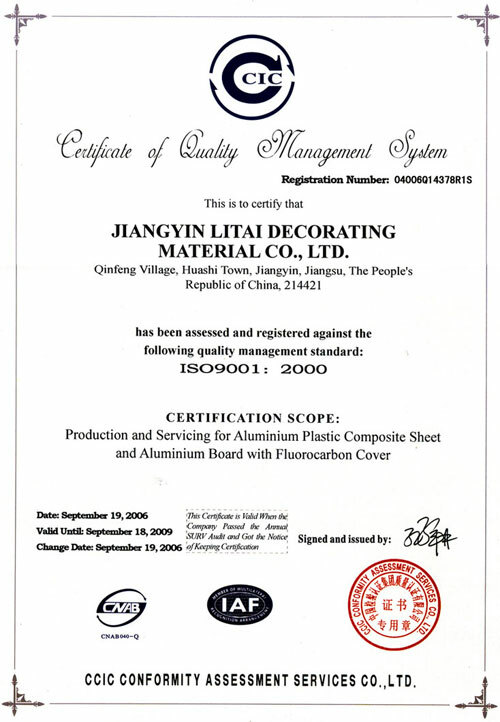 This page introduces you our various certifications, including CTC (China Building Materials Certification) and CE Attestation approved by European Union for our aluminum composite panels, and ISO9001:2000 Quality Management System Certification and ISO14001:2004 Environment Management System Certificate for Litai Ornamental Materials Company, to name a few. 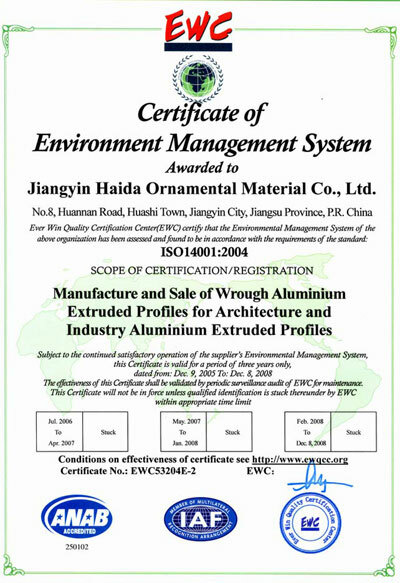 For more detailed information, please click on the images. 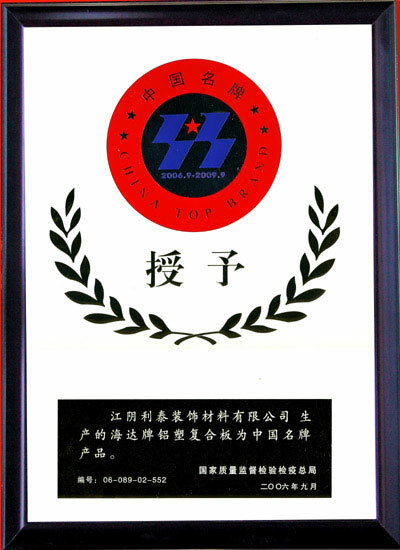 As a China based aluminum composite panel manufacturer and supplier, we have been in advertising aluminum composite panel and building aluminum composite panel production and marketing industry for over 10 years. 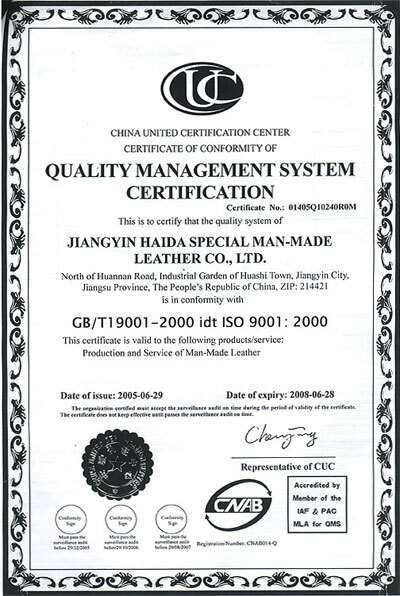 We are committed to providing quality products to worldwide customers. 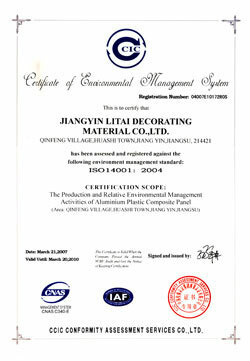 In order to accomplish this, we take a series of measures to control our product quality. 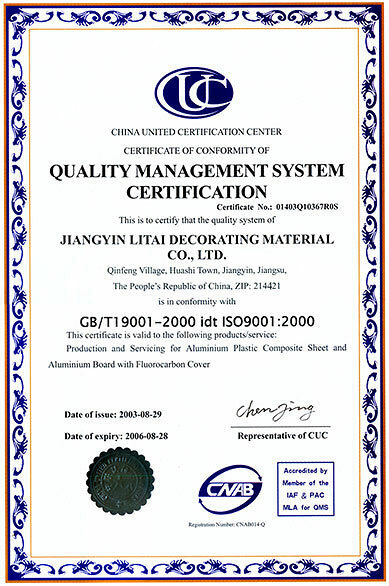 For example, since our inception, we have held ISO9001:2000 standard to produce our aluminium composite panels. 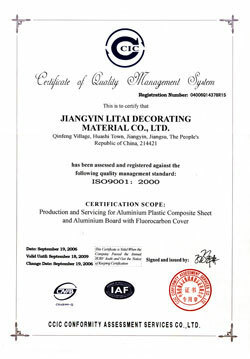 We conduct quality inspection on each batch of raw material and refuse any unqualified materials coming into production. 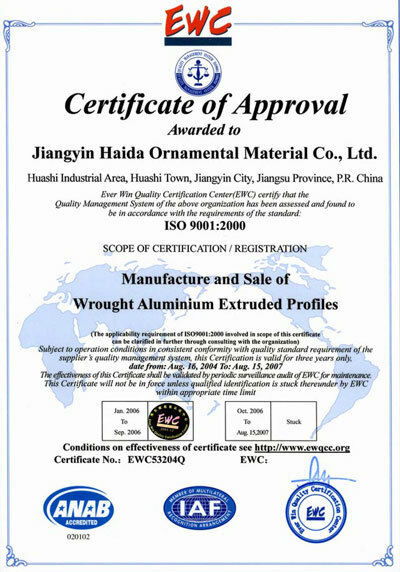 We also make investments to acquire high precision and high performance production equipment and testing facilities from Korea, Japan and America, etc. 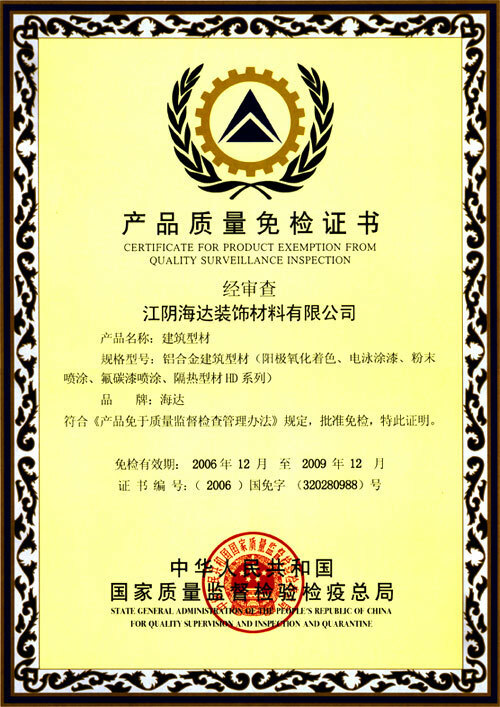 In addition, we also conduct quality inspection on finished products before leaving factory, so as to ensure only qualified composite panels are delivered to customers. 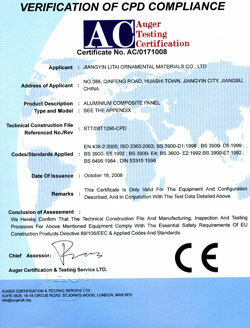 These are the reasons why our aluminum composite panels are CTC and CE certified and conform to the standard of ASTM-E84, EN13501-1 and BS-476. 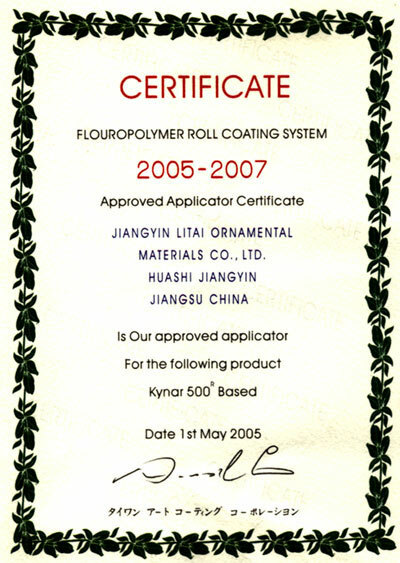 For more information, please send us an email, or give us a call directly. 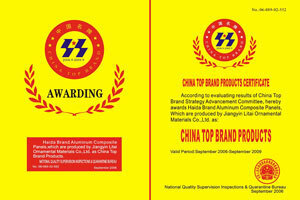 We are ready to serve you.